A couple of week ago I heard an interview on the RTÉ Radio 1 "The History Show" with Wicklow historian Jim Rees, who talked about The Fitzwilliam Clearances in South Co Wicklow and North Co Wexford (where I grew up). The interview can be listened to here. In the interview he refers to his book "Surplus People: The Fitzwilliam Clearances 1847-1856" which is unfortunately out of print. In the mean time my Dad lent me his copy of another one of Rees's books "A Farewell to Famine". 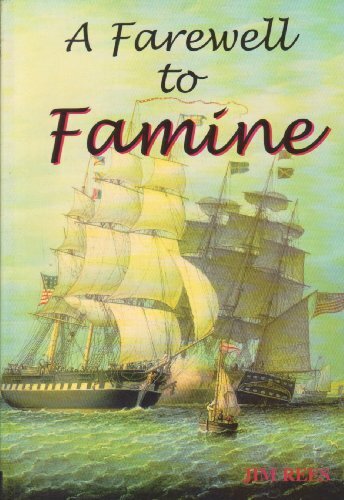 This book tells the incredible story of Fr Thomas Hore from South Wexford who brought hundreds of survivors of the Great Famine from Wicklow and Wexford to America - mostly to Arkansas and Iowa. Along the way he kept his group together until they reached New Orleans, where the groups started to fragment. Rees describes the sense opportunity and the salvation of theses people - as he put it, they were not so much as going to America, but were leaving Ireland. What it must have been like to leave everything behind is hard to contemplate. As Rees describes it - it was like a death in the family when someone left Ireland as they were very unlikely to be seen again. The real hero of the story is Fr Hore, who despite many setbacks, managed to get a least some of his flock to the land he bought for them (at $1.25/acre) in both Arkansas and Iowa. For all of them there was possible death and certain hardship if they remained in Ireland - in effect he was a priest who saved hundreds of people from poverty and death at a time in Ireland when the population was uprooting in hundreds of thousands for a new life in America. A list of those families who travelled shows surnames that will be very familiar to locals. 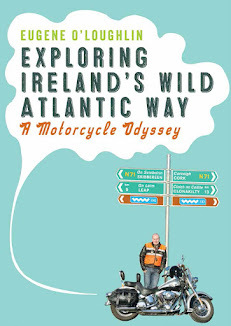 I highly recommend this short book, it will be of particular interest to people from the South Wicklow and North Wexford areas.